Easterseals Serving Greater Cincinnati | Give Vets 22 - Join the challenge! Easterseals Serving Greater Cincinnati asks you to Give Vets 22. Join the challenge! Did you know that every day in our country, 22 veterans commit suicide? It’s an alarming statistic. For any veteran it can be hard to reintegrate into civilian life. In this region, there are nearly 136,000 veterans - 39,000 are homeless, unemployed, or disabled. Through #GiveVets22, YOU can give back to local veterans by helping them get re-connected. 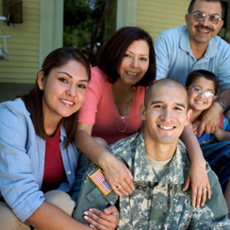 In Cincinnati, Easterseals Military & Veteran Services provides support to ANY local veteran through employment, emergency, and education services. On a daily basis, veterans call our Community One Source Hotline (513-878-2200) to reach out for help and get connected to resources. 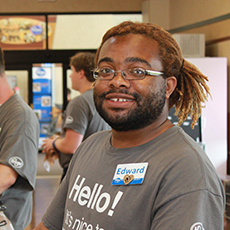 In addition, Easterseals has helped 440 veterans find employment. With your help, we can serve more local veterans. Share your #giveVet22 challenge with a photo or video on social media then challenge your friends, coworkers, and family to #giveVets22 as well. Be sure to tag us with #giveVets22. Make a difference today and make a $22 gift to Easterseals Serving Greater Cincinnati for Military and Veteran Services. $22 can provide a week of transportation, a day of food for a family until the next paycheck, new shoes for an interview, toiletries, start-up household items. For $22, you provide a moment of hope. For $22, you start to say thank you. >> Click here to learn about the contest!